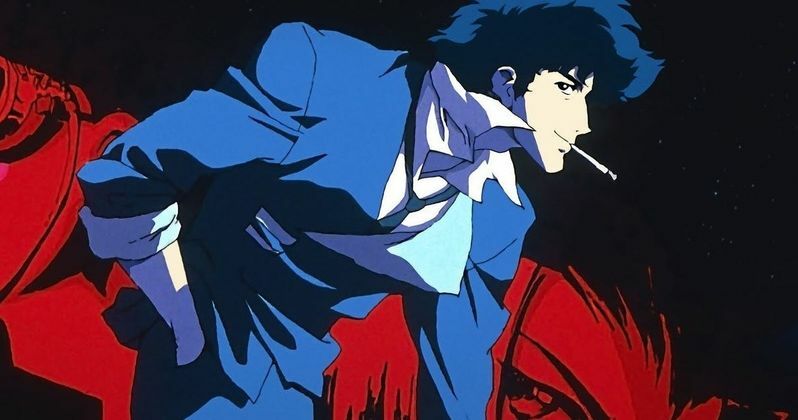 Get excited, space cowboys: Netflix has just announced that they're bringing Cowboy Bebop to live-action. The streaming service has officially partnered with Tomorrow Studios (a partnership between Marty Adelstein and ITV Studios) to bring the classic anime to life. Together, they're partnering for a 10-episode series adaptation, which has been in the works behind the curtain for about a year, but has now been given the green light. Christopher Yost, the screenwriter behind Thor: Ragnarok, has been tapped to write the first episode and executive produce the series. Some of his other credits include Star Wars Rebels and several Marvel animated shows. Joining him as showrunners and executive producers are Andre Nemec, Josh Appelbaum, Jeff Pinkner and Scott Rosenberg on behalf of Midnight Radio. Other producers include Marty Adelstein and Becky Clements of Tomorrow Studios, Yasuo Miyakawa, Masayuki Ozaki, and Shin Sasaki of Sunrise Inc, along with Tetsu Fujimura and Matthew Weinberg. Perhaps most importantly, Shinichiro Watanabe, director of the original anime series, has been brought aboard as a consultant, which could help it feel more authentic. Projects like this run the risk of losing what made the original feel special. Having Watanabe on board is a good way to try and squash any such concerns fans may have. Netflix describes Cowboy Bebop as a jazz-inspired, genre-bending story which centers on four characters; Spike Spiegel, Jet Black, Faye Valentine and Radical Ed. This rag-tag crew of bounty hunters is on the run from their various past lives while they hunt down the most dangerous criminals in the entire solar system. They'll even save the world, for the right price. At the time of the announcement, the streaming service hadn't made any announcements regarding casting, so it remains a mystery, for the time being, as to who is going to bring the characters to life. Cowboy Bebop originally premiered in 1997 and ran for just 26 episodes, but its legacy has endured for more than two decades. Part of what has made the series so successful is its popularity in America, in part thanks to the show being broadcast on MTV and on Cartoon Network as part of Adult Swim's Toonami programming, as well as being released on DVD. Despite that short run, the series has been a massive critical and commercial success. It's frankly amazing that it hasn't been adapted for live-action until now. This is part of Netflix's larger push into big-budget programming that has mass appeal. The company also recently announced a live-action Avatar: The Last Airbender series and they're set to spend literally billions on original content over the course of the next year. To go along with the announcement, the streaming service dropped a brief teaser for the series, which doesn't feature any actual footage, but does more than enough to get the point across. Cowboy Bebop does not yet have a premiere date. We'll be sure to keep you posted as any new information on the series is made available. Feel free to check out the teaser from Netflix's NX Twitter account below.